These cabled wool handwarmers are made from shimmering Texas Wool. I Iove the length of these as they come up over your wrists. Size Medium/Large Very nice for any woman on your shopping list. 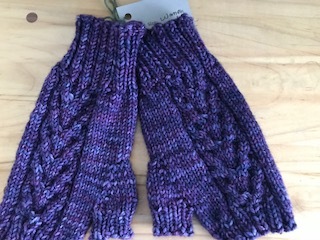 These are knit by a Tennesee Grandma (my sister).